You are here: Home » Events » The 2nd Annual 102.7 The PEAK’s 1K To A Beer Garden! The 2nd Annual 102.7 The PEAK’s 1K To A Beer Garden! 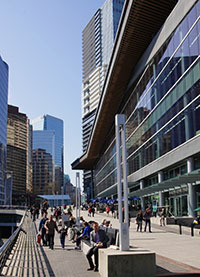 Burrard Landing is proud to host the 2nd Annual 102.7 The PEAK’s 1K To A Beer Garden, presented by Subway Restaurants and in support of A Better Life Foundation. 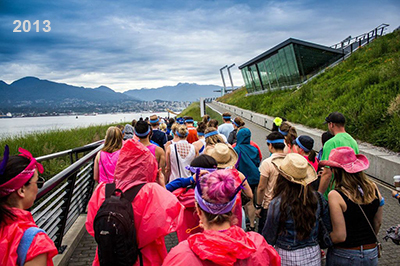 You can help feed Vancouver’s most in need by running one gruelling kilometre to a much deserved Prohibition Brewing Company Beer Garden at Jack Poole Plaza where we’ll soak in the sights from Burrard Landing and take in the sounds of a secret PEAK band! The $40 registration fee will help A Better Life Foundation in providing Vancouver’s hungry with meals, job training and employment opportunities. Plus every participant will receive a 102.7 The PEAK sweat band (totally necessary), a free beer and the mug it came in. Round up some friends, dress up in your most extreme athletic gear and we’ll see you there!